Despite rising financial confidence, more residents than ever are planning to continue renting for the foreseeable future, even if there is a rent increase says data released Monday in the Freddie Mac “Profile of Today’s Renter Multifamily Renter Research”. The survey, conducted by the multifamily sector of the Government-sponsored enterprise, found that over 59% of respondents planned to rent their next home, up 55% from the previous survey. “This quarter saw an increase in the number of renters saying they want to stay in place because they like where they live” explains the report. Among those surveyed, 29% said they would be willing to stay where they currently are and “will not move or adjust their lifestyle to cope with a potential rent increase”. Unsurprisingly, Millennials lead this sentiment of renting over home-ownership, with a majority joining Gen X renters in claiming that a renting lifestyle was the right choice for them. In addition, over two thirds of Baby Boomers also shared this sentiment. Although some may view this turn toward renting as a sign of restricted finances, the survey indicates they may not actually be the case. 41% of renters surveyed said that they are earning enough money to exceed their payday expenses. This means that many rents are actually seeing their financial condition strengthen and still choose to rent. If rent did increase, the study also found that most generational groups would accommodate in order to stay put. 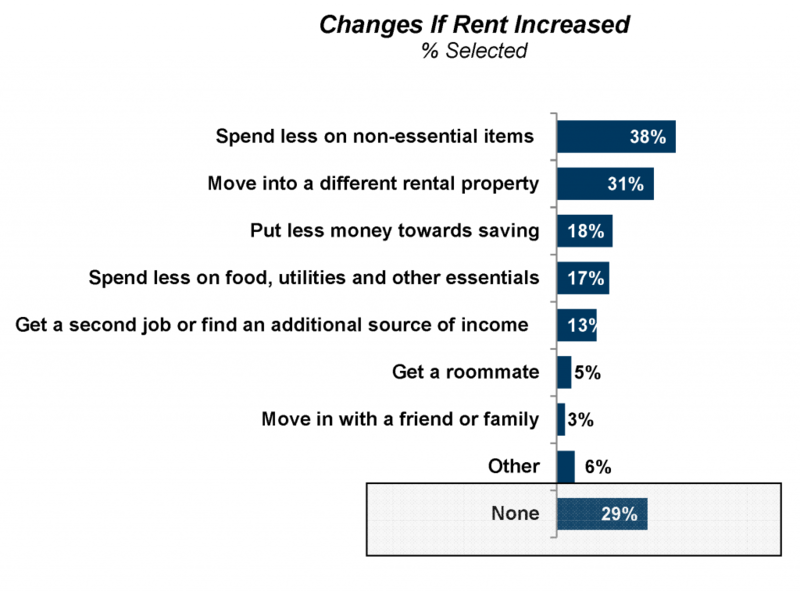 A majority of Millennials (46%) and baby boomers (40%) surveyed agreed that they would compensate for a rent increase by spending less on nonessential items, while only 28% of Millennials and 23% of Boomers said they would attempt to find a new rental property. The survey does suggest that the increased number of lifestyle renters may be caused by lower consumer confidence in home-ownership. According to Freddie Mac’s data, the average home buyer saw the prospect of owning a home as “lower than it’s ever been” at nearly 40% not feeling confident in their ability to purchase a home. In addition, the number of renters who found renting was a good choice for them, but they feel could not afford home-ownership increased by 5% (38%) from January 2016 to March 2017. 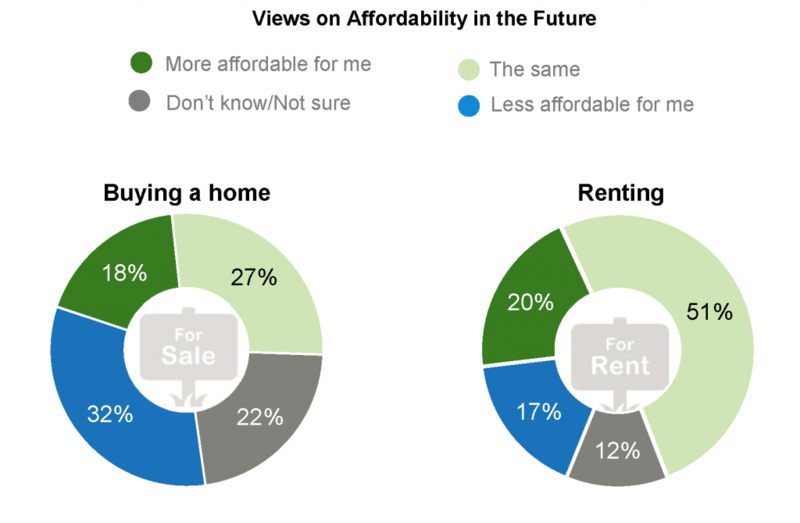 Affordability is increasingly playing a role in renter perception of where they want to live. 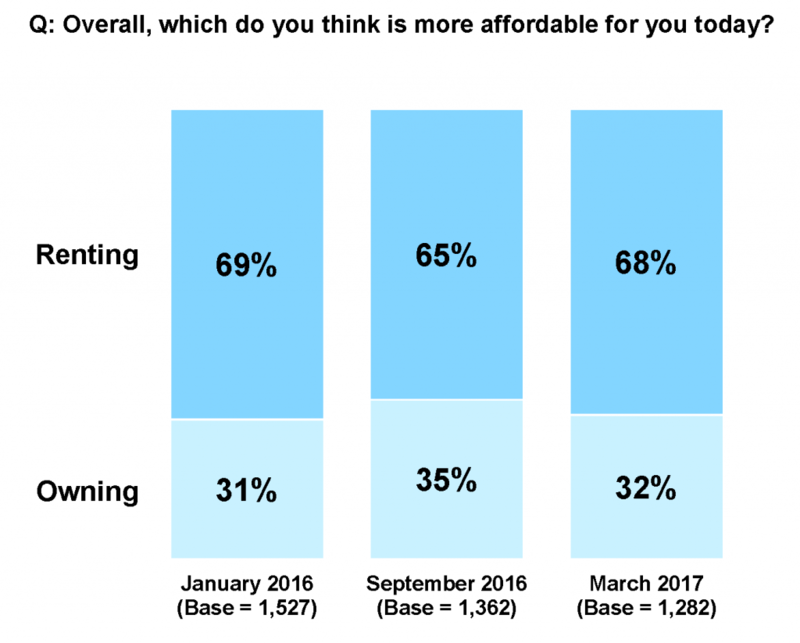 Of renters surveyed, the majority opinion suggests that renting will stay the same for affordability (51%), buying a home will continue to be less affordable (32%). In San Diego, where scarcity continues to drive up home values well above the national average, comfort in knowing rents will stay consistent is likely keeping many from making the leap to home-ownership. For Millennials the prospect of more expenses that ownership could incur was definitely implicit as a factor that keeps them renting, with the study suggesting that seventy-three percent of those surveyed would seek to rent their next residence. “It’s not surprising that they would feel unsure about buying a home” says Norm Root, Senior Vice President at ACI, “with student loan debt, credit card debt, and so many other expenses piling up, you can see why they would be worried about adding another one through home-ownership”. 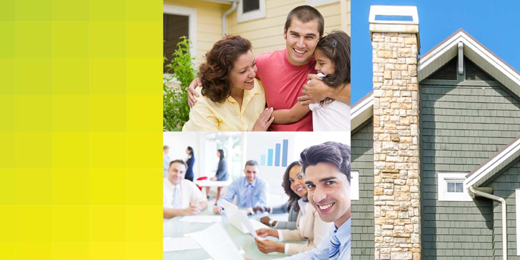 The Freddie Mac survey shows that more people than ever are looking to rent. With uncertainty brewing on the affordability of home-ownership and a cultural change toward renting as a lifestyle, renters are increasingly more willing to undergo long term rent increases and limited space in order to have a consistent expectation of what is ahead. As the economic landscape continues to evolve, these renter positive trends are likely to continue.